Dr. Dolores Shoback is Professor of Medicine and Associate Program Director of the Fellowship Program in Diabetes, Endocrinology and Metabolism at the University of California, San Francisco School of Medicine. She attended the University of Pennsylvania (BA, Biology) and obtained her MD from Johns Hopkins University School of Medicine. She completed Internal Medicine residency at Johns Hopkins Hospital and her fellowship in Endocrinology and Hypertension at the Brigham and Women’s Hospital/Harvard Medical School where she developed career-long interests in endocrine hypertension, metabolic bone disease and parathyroid disorders. In 1983, she joined the Endocrine Research Unit at the San Francisco Department of Veterans Affairs Medical Center and the University of California, San Francisco and joined the faculty in endocrinology in 1985. Dr. Shoback is active in basic and clinical research involving calcium-sensing receptors and parathyroid disorders. She has authored more than 150 research papers, reviews and chapters. Dr. Shoback served as Associate Editor for the Journal of Clinical Endocrinology and Metabolism and co-edited the last 3 editions of the Textbook of Endocrinology and Metabolism. 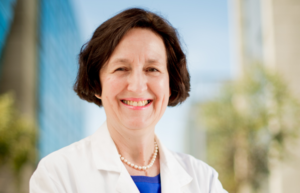 She has been honored as a Master Clinician in the UCSF Department of Medicine (2014), with membership in the UCSF Gold-Headed Cane Society (2015), with the UCSF Class of 2015 Teaching Award for Clinical Faculty, with the Sidney Ingbar Award for Distinguished Service of the Endocrine Society (2016), and with the Parathyroid Medal from Fondazione Raffaella Becaglia in Florence (2017). She chaired the Endocrine Society’s 2009 Annual Meeting and is currently Secretary-Treasurer elect of the Endocrine Society. Her research interests involve the application of therapeutics targeting the calcium-sensing receptor to bone and parathyroid cells in the treatment of human disorders of system calcium and mineral metabolism. 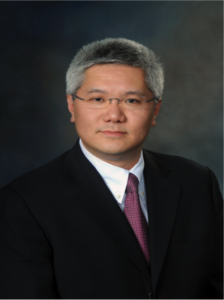 Dr. Frank Ko is an Instructor in Medicine at Harvard Medical School and conducts his research at the Endocrine Unit in Massachusetts General Hospital and at the Center for Advanced Orthopaedic Studies in Beth Israel Deaconess Medical Center. He attended Rice University (BS in Bioengineering) and completed his PhD training in mechanical engineering under Dr. Marjolein van der Meulen at Cornell University, where he developed a novel load-induced osteoarthritis mouse model. 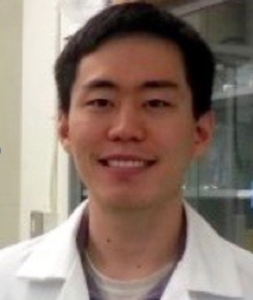 Dr. Ko then pursued postdoctoral training in molecular biology and endocrinology at Massachusetts General Hospital under the mentorship of Dr. Marie Demay and determined that phosphate restriction decreases bone and increases marrow adipose tissue. His main interest is in investigating the molecular basis of musculoskeletal changes due to dietary or mechanical interventions, and currently examines the role of mTOR signaling in phosphate/caloric restricted mice and the effects of partial weight bearing on muscle and bone. His research efforts led to several awards, including the National Science Foundation Graduate Fellowship and the American Society for Bone and Mineral Research Young Investigator Award. Dr. Michaela Reagan has been a Faculty Scientist at the Maine Medical Center Research Institute in Scarborough, Maine since September, 2015. She leads group of 6 researchers focused on studying multiple myeloma, specifically myeloma cell interactions with osteoblasts and bone marrow adipocytes. She completed her post-doctoral fellowship training under the mentorship of Dr. Irene Ghobrial at the Dana-Farber Cancer Institute where she studied myeloma in the bone marrow niche with in vivo and tissue-engineered 3D models. 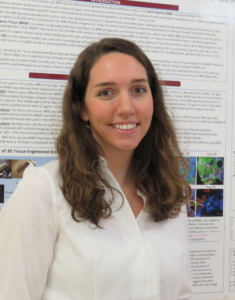 Dr. Reagan earned her in PhD in Biomedical Engineering from Tufts University in 2011 under the mentorship of Dr. David Kaplan, where she studied breast cancer bone metastasis in tissue-engineered and in vivo models. She earned her BS in Engineering from Harvey Mudd College in Claremont, California in 2006. Dr. Reagan is on the Advances in Mineral Metabolism (AIMM) Board and has published 42 articles mainly in the field of cancer and bone. She believes strongly in collaboration and enjoys mentoring and teaching the next generation of scientists in her lab. Current projects in her lab include: targeting sialylation on myeloma cells, developing NK cells for myeloma immunotherapy, developing therapeutic carbon nanotubes, and blocking myeloma-induced osteolysis and drug resistance through modulating the bone marrow adipocyte.